Gorilla safaris Uganda offers the most competitive 4×4 car rental rates in Uganda, for project transportation, safaris and tours and self drive. We have a variety of vehicles for both town run service and upcountry destinations and our drivers are well trained with a minimum of 10 years experience. Gorilla safaris Uganda has a number of land cruisers for rent – short and extended, suitable for both rentals and wildlife game drives during safaris or tours (pop up roof tops), they are highly recommended for off the beaten path drive. Our services range far beyond renting a car on self-drive, we can provide you with perfect safari holidays. We also offer cross border rentals, long term rentals, experienced drivers, airport transfer, Kampala city guides, and much more. We can help clients buy their gorilla and chimpanzee permits and also rent camping equipment ( tents, mattresses, cooking utensils, gas cooker, cutlery). All our drivers are English fluent speaking and have experience on the Ugandan roads for over 15 years. We hire out 4×4 safari vans at $80 usd per day to any destination in Uganda of easy game wildlife viewing, they have popup roofs. 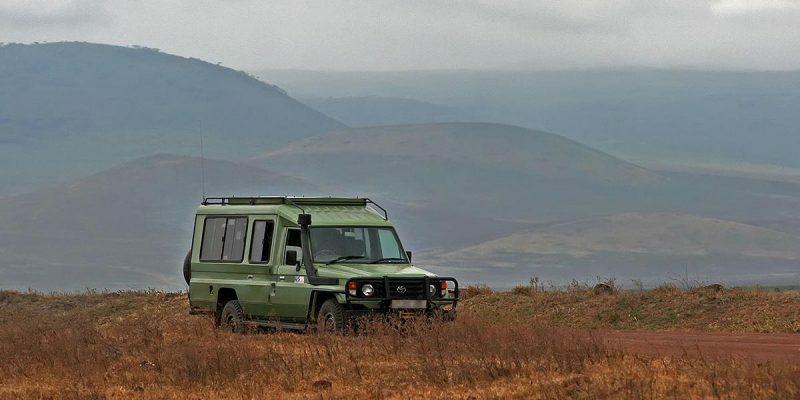 The game safari vehicles are very comfortable and have a full-time 4×4 wheel-drive system. They can be used to any part of Uganda and Rwanda, 7 sitter vans are recommended for small safari groups, like 7 peoples. The 4×4 9-sitter safari vans with a pop-up roof top. These carry more persons and many people can stand in the pop-up roof to see wildlife at the same time. These are available at only $90 dollars per day (including driver, (excluding fuel) to any part of the country. Highly recommended for up country tourism destinations for small groups of peoples. We offer Saloon cars for hire in Uganda at affordable rates to any destination at cheap since they are small are highly recommended for the town services and airport pickups. They can still run to upcountry safari destinations where the roads are tarmacked but not recommended for wildlife game drives.